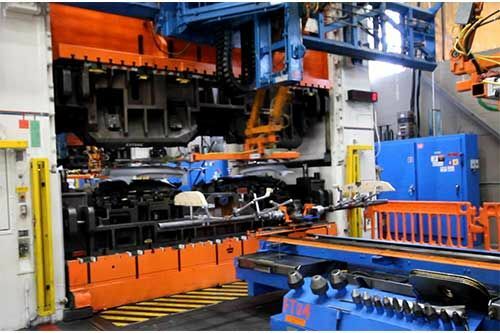 Autodie has gathered an impressive roster of stamping presses to handle every aspect of die manufacture, but customers also inquired about our capabilities for short-run production and emergency offloads. 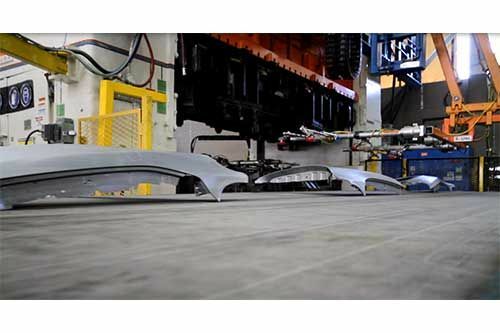 In response to that need, Autodie has invested more than $4 million in a dedicated press line with a "pick-and-place" automation system with an underground scrap conveyer. 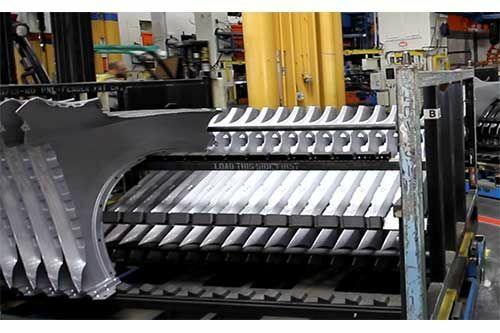 The bed sizes on this line are 96" x 180"
Autodie also offers a large tandem press consisting of 2 rams, a 2,000 ton and a 4,000 ton with a bolster size of 100" x 228". 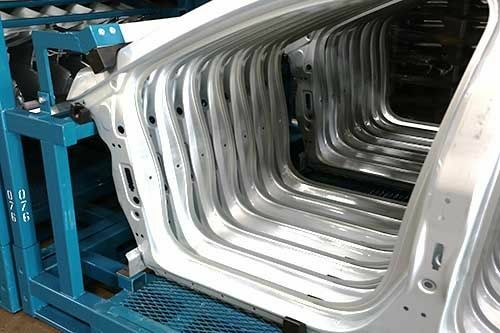 The press is equipped with a coil feeder and straightener capable of handling up to 5 mm thick stock up to 72 inches wide. This press has been utilized for many things including blanking and prog die production runs.